​Iceland Supermarket ban on palm oil an uninformed choice or marketing savvy? The company is showing a surprising ignorance of what happens in the real world or perhaps this was another clever marketing ploy to garner shoppers that otherwise may not shop at Iceland. Its Facebook page is already plugging a new video to donate £1 towards orangutan rescue for every share of its marketing video. This is a very clever inexpensive marketing method to deliver maximum coverage for the cheapest cost. At this time of writing, the video has been shared 3500 times which would obligate the company to donate a tax deductible amount of £3500. This clever marketing ploy may well create incredible returns on marketing budgets on the back of orangutans but it shows a wilful ignorance of how things happen in the real world. Its pledge to use pulp and paper packaging for example, completely ignores the fact that the pulp and paper industry in Indonesia is one of the biggest causes of deforestation there. Grand sounding statements like “recyclable through domestic waste collections or in-store recycling facilities” fall short on details of how it will deal with the wastes collected. Does Iceland supermarkets indeed have the resources to ensure that its pulp and paper packaging does not come from forests or that it has the facilities to recycle all paper wastes collected? The UK’s recycling guide indicates that contaminated waste papers such as those for paper food trays may end up in the landfill if not incinerated outright. Clever marketing at Iceland supermarkets hides animal cruelty and environmental destruction in palm oil substitutes. The marketing staff at Iceland should be commended on their ability to pick up on popular sentiment to maintain their market share in a tough retail environment but it looks like they aren’t sharing everything they know. They have appealed to the anti-GMO consumer segment and the movement of the year in anti-plastics but when it comes to the anti-palm oil commitment, shoppers beware. The substitutes for palm oil that they are using are no better or possibly even worse than palm oil. Iceland managing director Richard Walker was widely quoted as saying there was "no such thing as properly sustainable palm oil." As Businessgreen reported, instead of palm oil, Iceland said it will use alternatives such as sunflower oil, rapeseed oil, and butter. Let’s hope Iceland supermarkets has found proper sustainable vegetable oils or butter. Sunflower and rapeseed oil, both of which are common industrial crops grown in Europe, are threatening European biodiversity with 'biodiversity oblivion' as experts warn that intensive farming and pesticides could turn Europe’s farmland into a desert that ultimately imperils all humans. 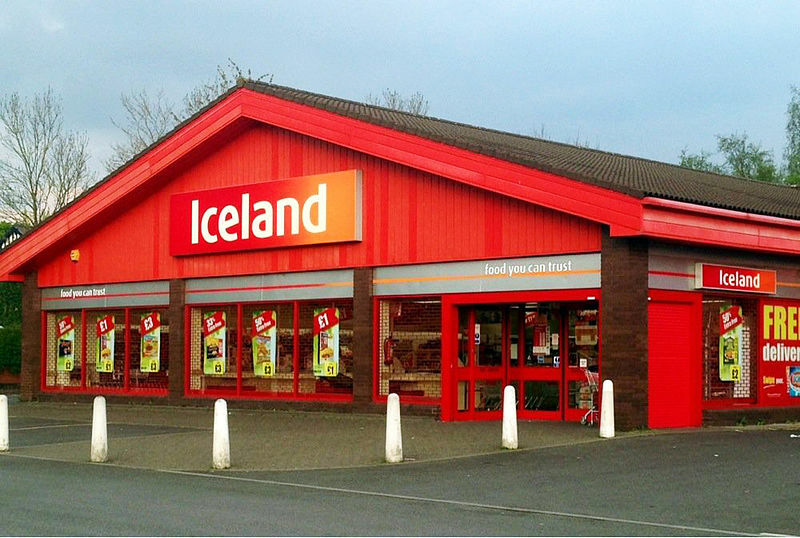 Will Iceland supermarkets guarantee their shoppers that their own-store brands will not lead to biodiversity collapse in the UK? Will their sources of sunflower, rapeseed and other vegetable oils be certified proper enough to meet their standards? Should they choose to use butter instead of palm oil in their cookies, will Iceland supermarkets be transparent with their shoppers and show how their source of butter comes from humanely treated cows who are not fed with deforestation tainted GMO soy that threatens Amazonian forests? Telling half the truth to appeal to popular sentiment may work well for Iceland supermarkets to maintain profitability but suggesting that their palm oil ban will save rainforests in Indonesia is a stretch. Even if Iceland supermarkets was a mere mosquito in a roomful of elephants disguised as palm oil companies, it would have a bigger impact on saving forests and orangutans if it continued to buzz the industry towards sustainable practices. Shoppers at Iceland supermarkets should know that there is orangutan free palm oil readily available from New Britain Palm Oil in the UK. Contact details provided here in case the sustainability staff at Iceland supermarkets have not heard of them. As for animal cruelty which Iceland supermarkets wants to remove from its palm oil to save orangutans, lets hope that their beef and pork products were "properly sustainable" and free of the violence against animals that is inherent in the meat industry. Should NBPOL not have the required palm oil product to meet Iceland supermarket's product performance metrics, the optional source is Daabon Organics whose palm oil is equally deforestation and orangutan free. The purpose of publicizing these sources of certified sustainable palm oil is not to call out the bull behind Iceland supermarket's plan to ban palm oil but to show there is credible sustainable palm oil readily available that could save the natural landscape and biodiversity of the UK for British shoppers plus a bonus of not hurting orangutans.